Air Canada and United Airlines have dropped the price of their August, September, and October flights from Seattle to Rome, Italy down to around $575 CAD roundtrip including taxes. The cheapest flights from Vancouver to Rome in August are going for $1200 CAD. Dates over Labour Day and Thanksgiving are currently available. NOTE: Most of the booking sites showing these flights are in $USD (even though Momondo is showing you the approximate price in $CAD), so watch out for that. Once you get to the booking site they should be somewhere between $414 and $430 USD, which will work out to $567 to $589 CAD when booked with a Canadian credit card (and factoring in the typical 2.5% credit card foreign exchange fee). You can find more dates in November, December, and January with this Google Flights search. On Google Flights, look for the cheaper dates that are in the $500s roundtrip. Then, try searching for them on Momondo. NOTE: Most of the booking sites showing these flights are in $USD (even though Momondo is showing you the approximate price in $CAD), so be sure to watch out for that. Update 9/5 - Seattle to Milan, Italy (MXP) is now available for $521 CAD roundtrip including taxes, for travel in October, November, December 2017, and January, February, March 2018. Look for the date combinations that are $582 roundtrip. flight deals, seattle, sea, air canada, europe, western europe, southern europe, italy, rome, fco, milan, united airlines and mxp. 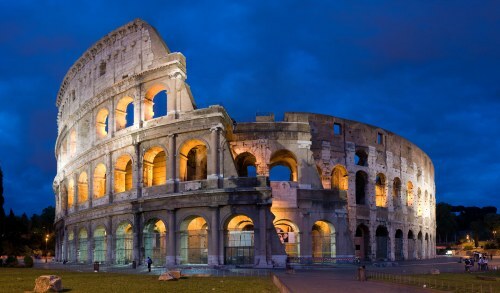 6 Responses to "Seattle to Rome or Milan, Italy - $521 to $575 CAD roundtrip including taxes"
Thanks Chris. Just booked for Aug 27-Sept 15 for $815 USD for two! ($550CDN each). Much appreciated. Your blog rox. Nice, have a great time in Italy Joe! Can you alter the dates on this fab deals to stay in Vancouver on the return flight in stead of going back to Seattle? Betty, you can choose to just stay in Vancouver on the return flight if you want, instead of continuing on to Seattle. But make sure to travel with carry-on only, as checked bags would continue on to Seattle. I tried to book through momondo which directed me to travelmerry but I got an email this morning that it wasn't processed. There are some bad reviews about travelmerry. Anyway I booked through united this morning for $650 Canadian. Still a good deal. Thanks ???? It looks like this sale is over. I cannot find a United or AC flight under $1K.